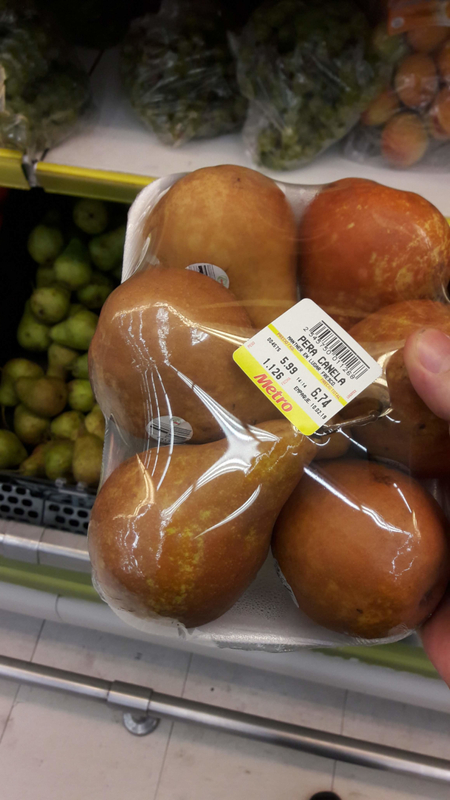 I went to my local groceries supermarket (in Lima, Peru) and found this cheerful looking pear named locally as "pera canela". 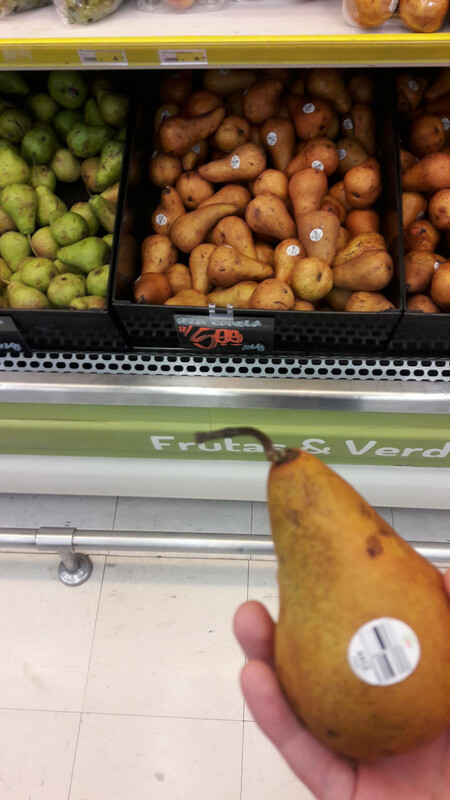 But I found it weird as the only variety which I'm aware of is Packham's pears. 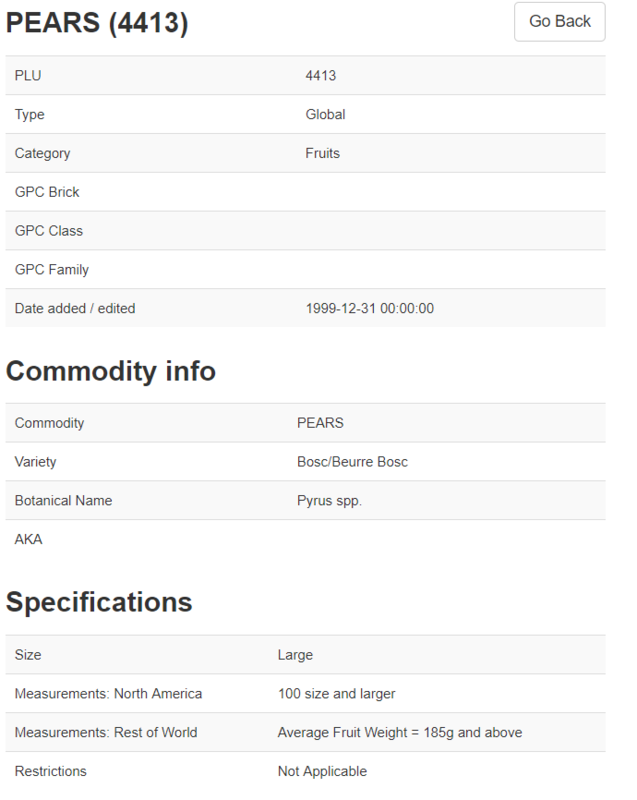 I tried to do some research on different cultivars and species known of pears. So far the only ones which I found were in this wikipedia's entry but it didn't help me much. Below is a set of pictures I took of the pear referred to as "pera canela"
Figure 1. Picture of packed Pera canela, the printed label shows its local name. Figure 2. Picture of Pera canela's as they are on a basket in groceries stand. Seen in the background. Figure 3. Picture of Pera canela seen closer for identification. So far by comparing it with different entries on Wikipedia. I'm not very sure if it's a local name given to either Abate fetel or perhaps to Bosc varieties, or could it be a D'Anjou? 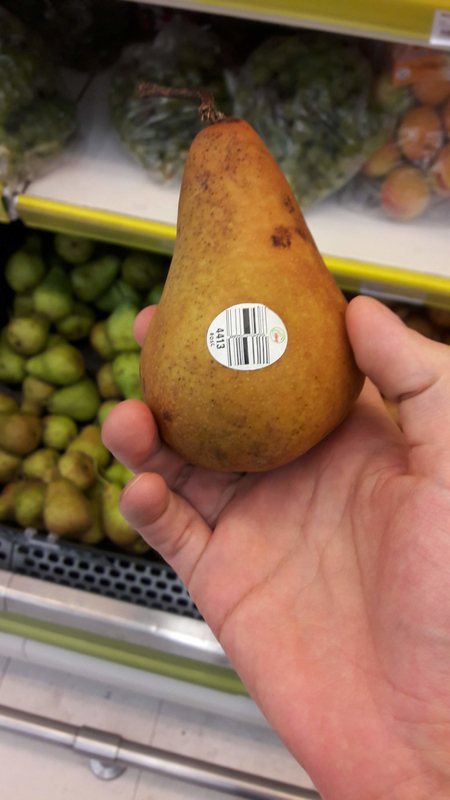 Since I'm not good at identifying plants, can somebody help me identify which kind of pear it is? It would also greatly help me if the answer could include its scientific name so I could do more research into it. 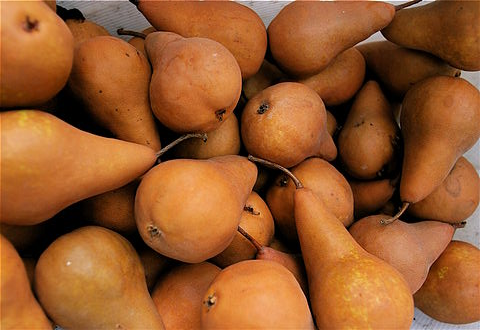 Plu Code 4413 is a bosc pear (a cultivar of Pyrus communis). Not the answer you're looking for? Browse other questions tagged species-identification botany food trees fruit or ask your own question. Berries ID - Can someone help us identify this plant?